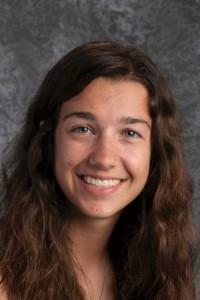 Huntley High School junior Rebekah Green recently was named to the Illinois All-State Band. The French horn player is believed to be the first student in HHS history to receive the honor. She traveled to Peoria on January 28 for the state three-day competition, where she made 3rd chair Honors Band. She and her counterparts had one day of rehearsal before a culminating performance on the third day. Acceptance to All-State is based on a three-part audition held by the Illinois Music Educators Association, including scales, sight reading, and performance of two predetermined pieces. Green first picked up the French horn as a sixth-grade student at Marlowe Middle School, where she says she was encouraged by Ingrid Mullane, a music teacher at Martin Elementary School, who is both Green’s private teacher and an accomplished French horn player in several area orchestras. “I am excited to be a part of this experience and I am looking forward to seeing many more musicians from Huntley High School follow this path,” she said. After high school, Green plans to attend a university with a strong music program (Northwestern is currently at the top of her list) and then entering the competitive world of professional musicianship.